Eberlestock's Dragonfly Tactical pack features their patented Cam Expansion and patented built-in Backscabbard. The Dragonfly is built with an Intex II tubular aluminum perimeter frame. This revolutionary frame design gives the J-type packs the structural character of a full-metal external frame, but the quietness and comfort of an internal frame pack. Eberlestock &apos;s Dragonfly Tactical pack features their patented Cam Expansion and patented built-in Backscabbard. The Dragonfly is built with an Intex II tubular aluminum perimeter frame. This revolutionary frame design gives the J-type packs the structural character of a full-metal external frame, but the quietness and comfort of an internal frame pack. The Dragonfly has a huge range of adjustability, and more patented and proprietary features than any pack made. 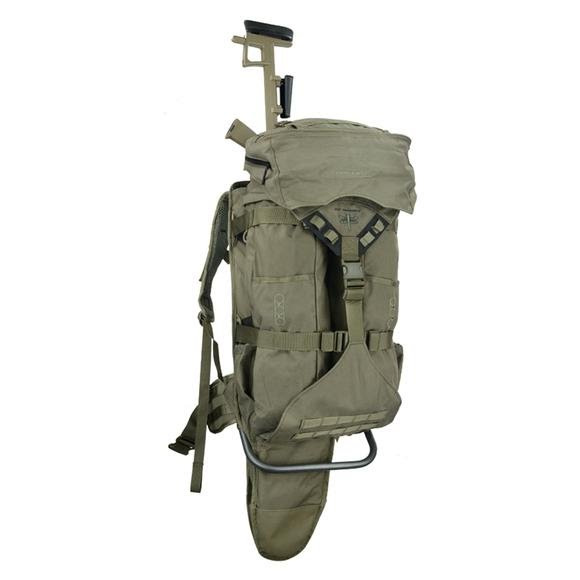 A full slate of premium features includes a nicely structured frame which makes a very stable load bearing platform, a fully adjustable shoulder harness, and pull-off hydration compatible Fanny-Top go bag. If you need a pack that is scalable for multiple missions, you should consider a Dragonfly.